LG is all set to launch the V40 ThinQ in India soon, and phone will go on sale in India starting January 20th on Amazon. But at the same time, talks regarding the South Korean giant’s upcoming flagship have gained momentum. 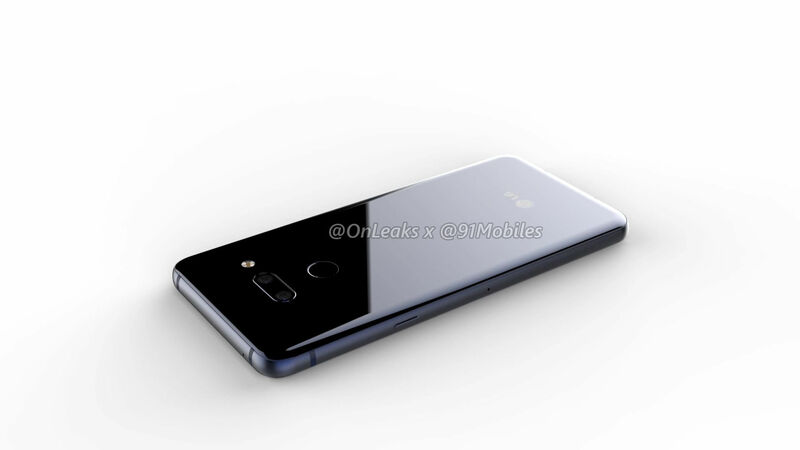 The LG G8 that comes in as a successor to the G7+ ThinQ (review), is expected to be unveiled at the upcoming Mobile World Congress (MWC) 2019 in Barcelona, Spain. Ahead of the event, 91mobiles brings to you the first 5K renders and 360-degree video of the flagship in partnership with @OnLeaks. Without any further ado, let’s take a look at the design and key details of the upcoming flagship. 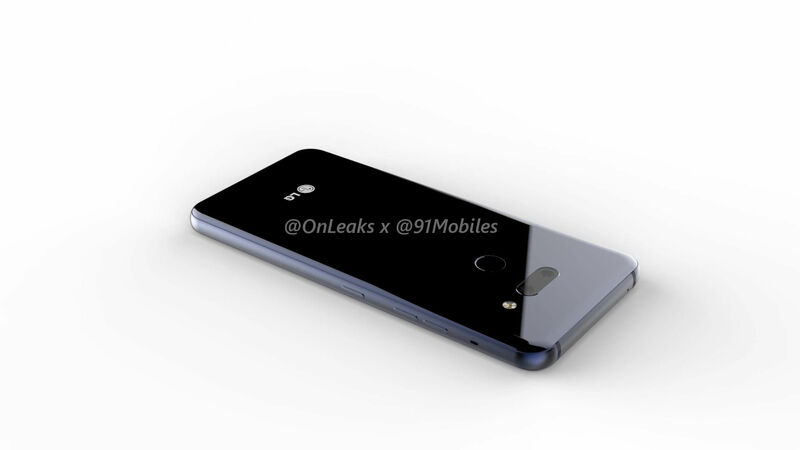 As you can see in the 5k renders gallery below, the LG G8 isn’t much different from its predecessor, and flaunts the same glass-sandwich design. However, if you notice closely, there are some subtle changes — the camera module on the back is now placed horizontally and it seems to be missing the Laser Autofocus. The fingerprint scanner continues to be present on the rear. 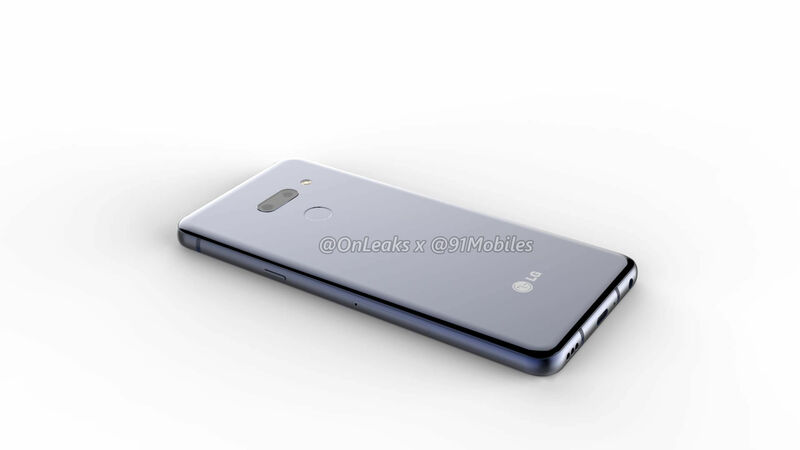 Speaking of the cameras, what caught our attention is that the LG G8 still seems to sport a dual-camera array on the back. 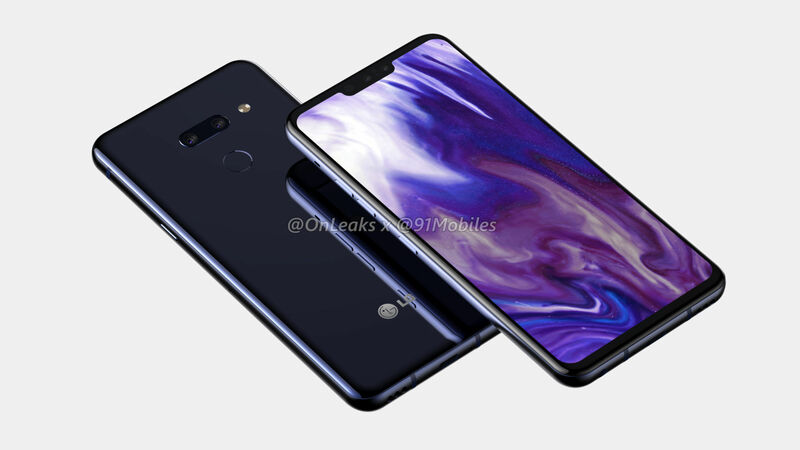 This comes as a surprise since the brand has already gone the triple camera route with the V40 ThinQ. On the front however, the renders show a pair of selfie cameras that we can expect to be the same as the latest V series offering. 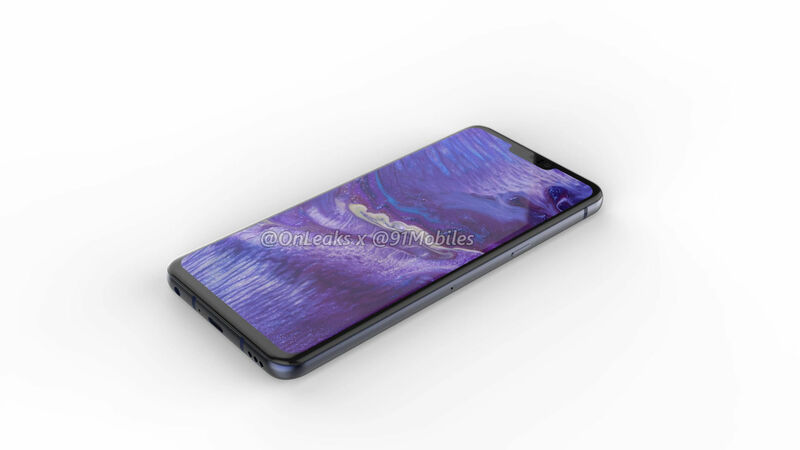 Codenamed Alpha, the high-end smartphone is likely to come with a 6.1-inch display with a conventional display notch and an aspect ratio of 19.5:9. 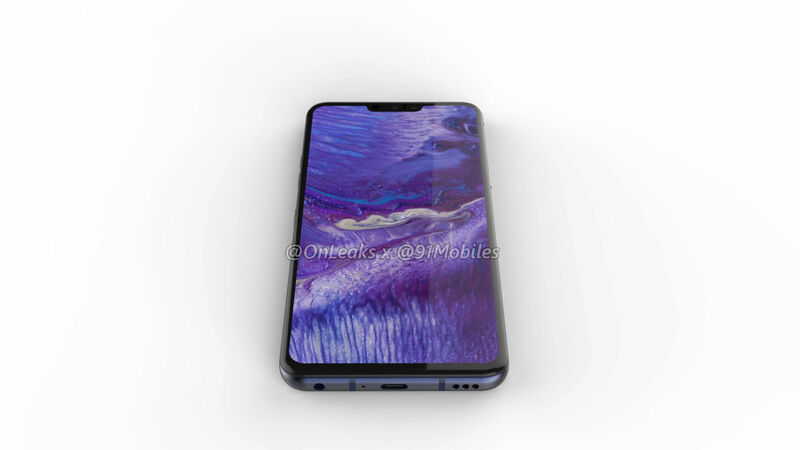 There was a rumour earlier that said that the brand might also launch an additional accessory, like a sort of case with a screen which will potentially double the size of the viewing area. However, this is mere speculation at this point and should be taken with a pinch of salt. As far as the dimensions are concerned, the phone measures roughly 152 x 72 x 8.4mm, as per the tipster. 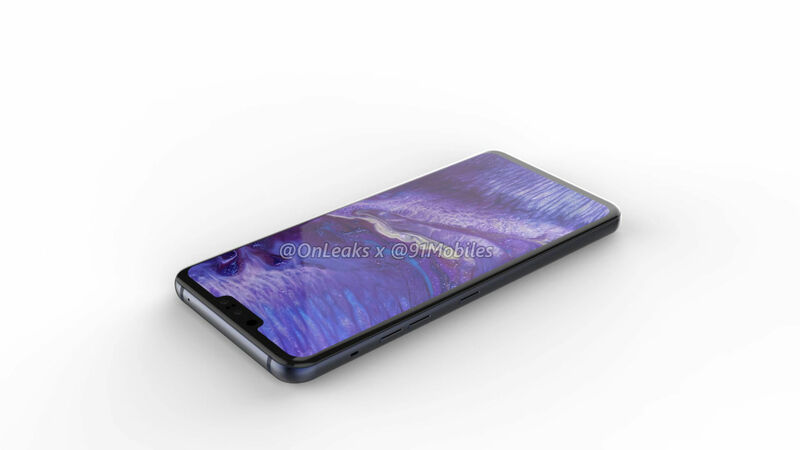 As for the buttons and ports placement, we can see the USB Type-C port, loudspeaker grille and a 3.5mm audio socket (thankfully) at the bottom. 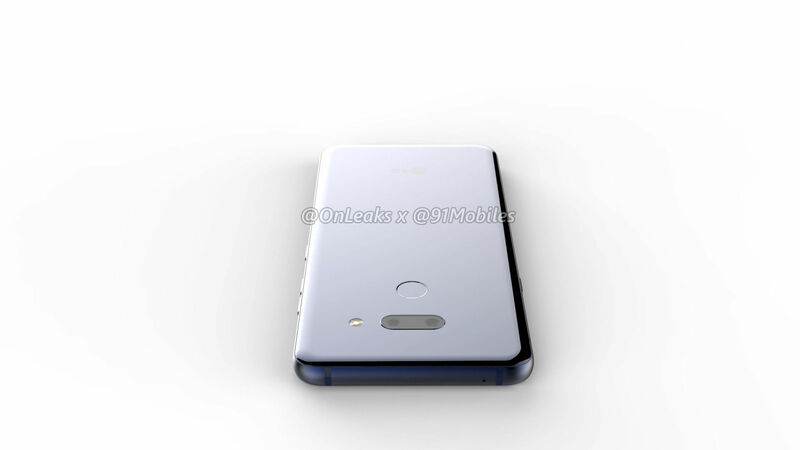 Both the power button and SIM tray are placed on the right, while on the left, you will see the volume buttons along with the dedicated Google Assistant button. There is an additional hole on the left, above the volume button, which could either be an additional microphone or speaker. 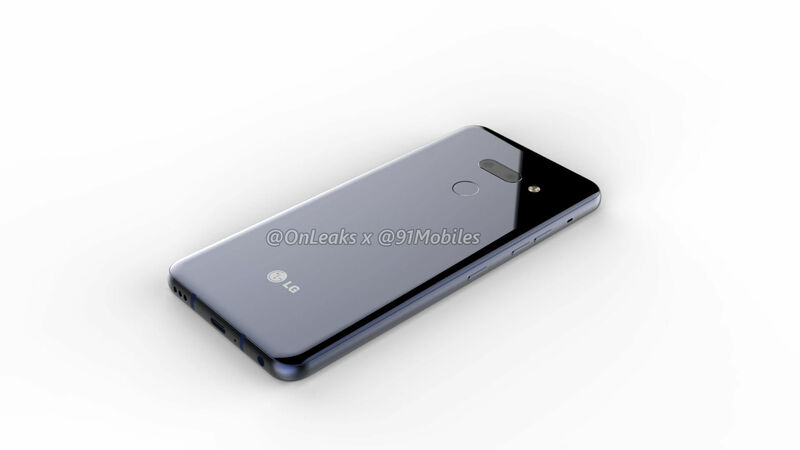 The LG G8 has been floating around for a while on the web through a number of leaks and speculations. Unfortunately, not much is known about the handset at this point. 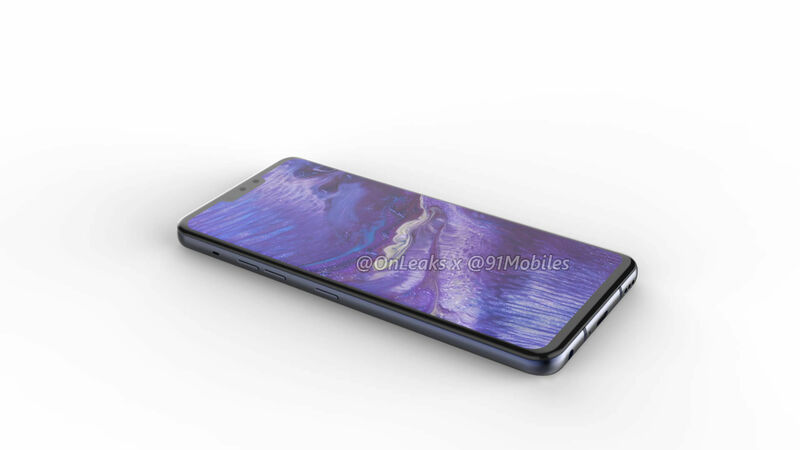 An early report had suggested that the smartphone will come with 5G cellular connectivity. 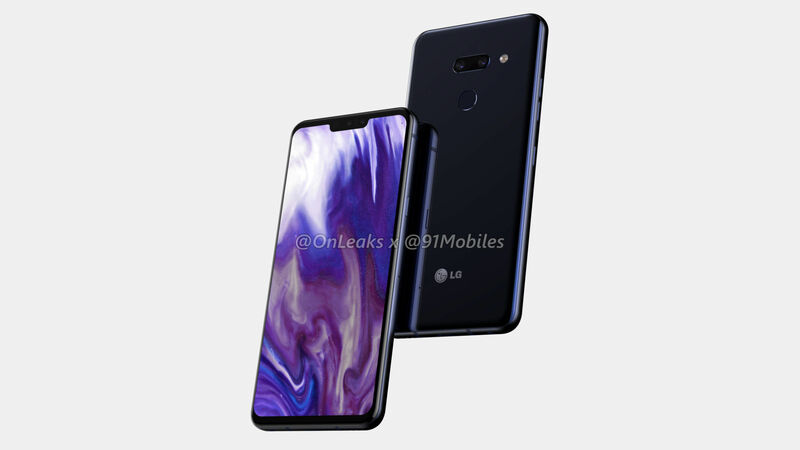 Yet another leak suggested that the LG G8 will be equipped with ‘sound on display’ speakers that would be similar to an under-display cantilever-conduction speaker. 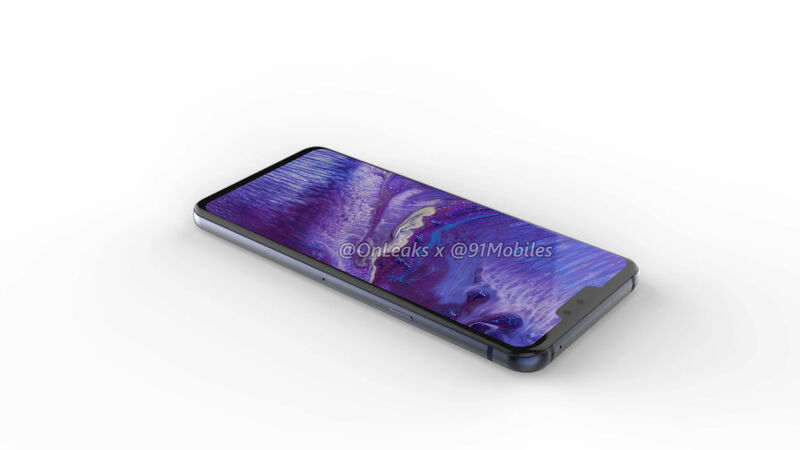 According to OnLeaks, one of the sources has also confirmed the presence of the same on the smartphone. Notably, this technology uses vibration and bone conduction to create sound directly from the display making the speaker redundant. 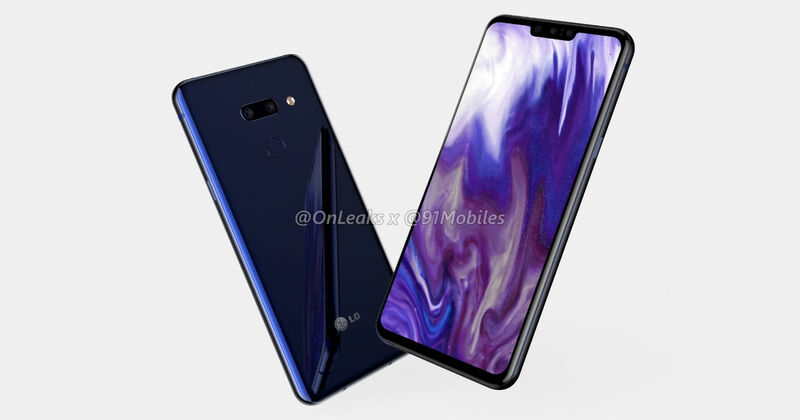 The primary objective behind conduction-based audio is to ensure maximised screen real estate on the fascia of a phone and as we can see in the renders, the LG G8 has very narrow bezels all around. Moving to the core specifications, it was being speculated that the G8 will come flaunting the Snapdragon 855 chipset. However, since the launch is touted to be next month, we won’t be surprised if it comes with the Snapdragon 845 processor. No other details regarding the smartphone are available at the moment. Unfortunately, there are no details regarding the pricing and availability of the flagship device right now. 91mobiles will be present on the floor at Mobile World Congress next month and bring you the latest updates straight from Barcelona, so stay tuned. 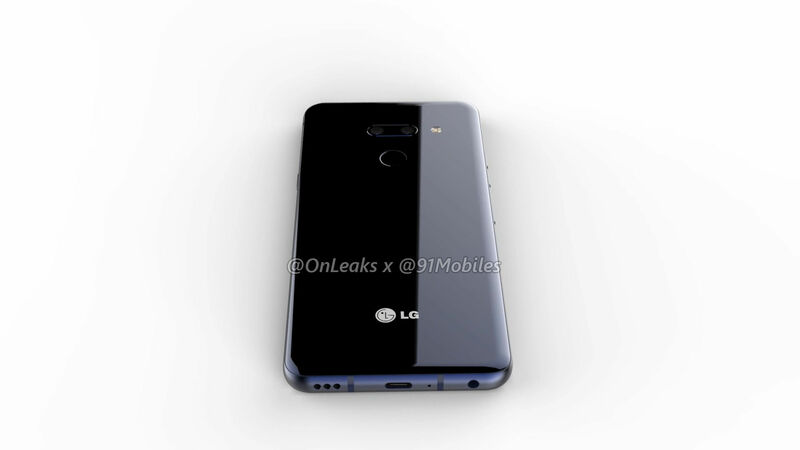 [Update]: An LG executive has pointed out that these renders might be inaccurate and not the real deal. 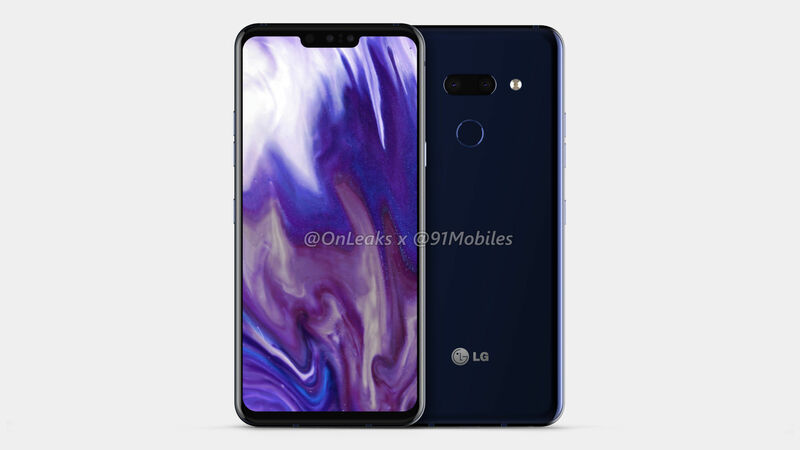 It’s possible that the phone in these renders may not be sold as the G8, or LG might have made changes to the design the source may not be aware about. In any case, we should have some info on LG’s next flagship very soon.